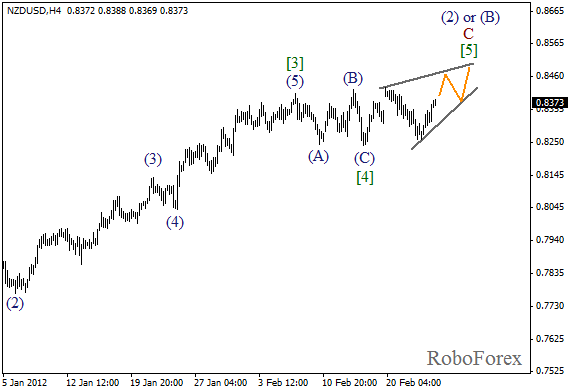 Little by little, the price is confirming the scenario which includes the formation of diagonal triangle pattern in wave  of C. The pair has already rebounded from the pattern’s lower border and may break the local maximum this Friday. As we can see at the H1 chart, the price is forming the third wave. In the near term, the market may continue moving upwards for a while. 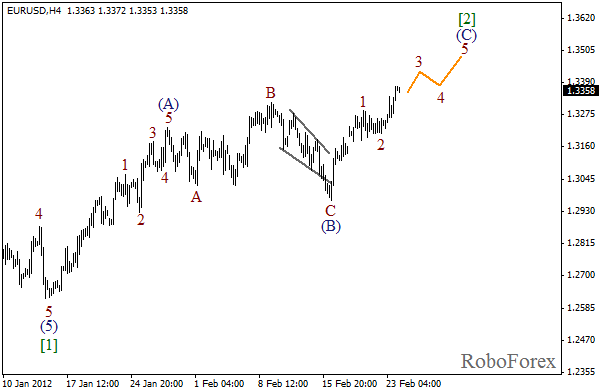 The target of wave (3) is the level of 0.8450. Euro has broken the local maximum, as we expected. It looks like the price is going to continue moving upwards in wave (C) of  in the nearest future. 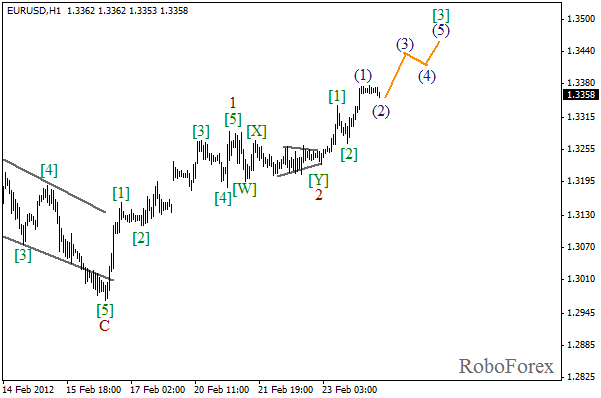 The target for the bulls is at the level of 1.3500. 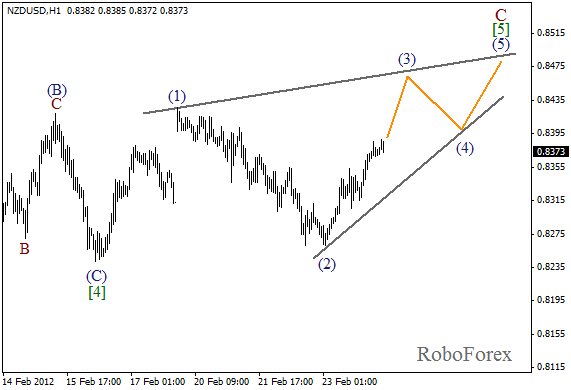 As we can see at the H1 chart, wave 2 has taken the form of double three pattern with horizontal triangle in wave [Y]. It looks like right now the pair is forming an extension in wave . During the day we can expect the price to start growing up in wave (3).